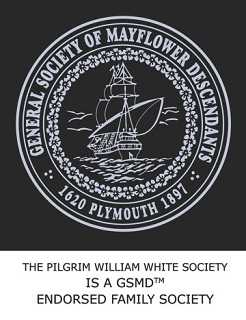 The Pilgrim William White Society publishes a quarterly newsletter featuring articles of interest to White descendants. Publication dates are January 31st, April 30th, July 31st and October 31st. The deadline for submissions is the 15th of the month in which the newsletter is due to be published. The editor of the newsletter is Michael Beard. Please submit articles, comments or suggestions to her. © Copyright 2016, The Pilgrim William White Society. Last revised 22 January 2019.